Sales forces are typically incentivized by one thing: money. It’s generally believed that strong sales teams are motivated by the commissions they will earn and by being recognized for their success. Period.  But at Trelevate, we’ve found that a purpose beyond simply financial reward and team acknowledgement can drive tremendous results – this is cause-based selling. Cause-based selling is when you recruit and deploy a sales force that finds personal cause in promoting and selling a particular product. One common misconception is that cause-based selling only applies to non-profit endeavors. This is not the case at all. Cause-based selling can involve products that advance a social cause like education, or religious values such as faith-based practices. But it can also embrace health products, environmental solutions, even financial and retirement related products. Anything that truly makes a positive impact in peoples’ lives can be a driver for cause-based selling. The key is to honestly define the benefit that the product provides, and to recruit sales people who identify with those benefits. Deploying a cause-based sales strategy should not be a rationale for a weaker commission or recognition structure. This is the old model of doing business — that somehow doing the “right” thing involves sacrificing reward. That is a choice great sales people shouldn’t have to make. On the contrary, having it all – meaning as well as money – is a powerful platform on which to attract and retain top sales performers. It’s essential to creating a culture where sales success is the norm rather than the exception.